Social networks are becoming an increasingly important part of any business marketing and client base development platform. According to Chadwick Martin Bailey Consumer Pulse One 75% of people are somewhat or highly likely to share content they like online with friends, co-workers or family—49% do this at least weekly. Free Facebook Like Button 2.0 extension is closely connected with Facebook. The button Like is one of the easiest way to attract new clients through friends. 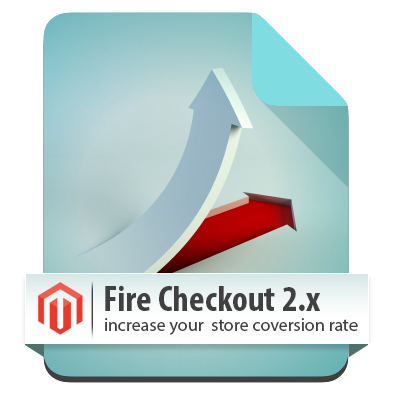 The module enables the button integration with Magento core functions. By using the extension you can place the Like button both on the product page or on the category page. The button is completely customizable in Magento configuration. So, you are allowed to configure the color, the language and etc. according to your store specificity. Moreover the extension allows users to share the information from your store to their friends using the Share button. That way your potential customers will see store's products and probably become a current clients of your web-store. So, the Facebook Like Button extension can considered to be the additional effective type of advertising. Find out more information and reviews about our module at Magento Facebook Like button extension page. The sure and rapid way to drive your store revenue is to promote your products via social networks. Facebook is rightly considered to be the most popular and well-proven social media. We recommend to add our facebook link extension to your magento store. It allows to use both Like and Share buttons and fully control it from extension configuration area. Install our free Facebook Like extension at your Magento store to allow your customers spread their activity through the most popular social network. This way you will expand users base and improve social communication with new store visitors. The Facebook Like Button module allows to use facebook button widget and tightly integrate it with Magento core functions. By using the extension you can place the Like button both on the product page and on the category page. The button is completely customizable in Magento configuration. So you can set up the color and the language of the button according to your store needs. After the customer clicks the button on the store page, the link back to page where button was clicked will appear in the customers Timeline. So, by adding Facebook Like button at your magento store you can start the promotion of products to social media. Help your customers to share store's products on Facebook! Our Facebook Like Button plugin enables sharing product links in customers' friends' news feed. Users can select the page in order to share in: in their own timeline, in friends' timeline or in a group. They can add the description or their own review about the product which they share. Share button also lets your customers send a link as a text message to their friends. When users click Share button, the information will appear on Facebook within minutes. In this way the extension allows your customers to share their activity and at the same time promote your stores products and services. So, the sharing of product links in Facebook pages leads to the constant growth of clientele and drive traffic to your online store. Our extension is based on Open Graph protocol. Use of Open Graph protocol Meta tags on your web-store will allow you to show the information you share by the perfect way. The integration with Open Graph protocol provides the accurate and complete display of the title, image or description of the content you’re sharing. Besides your online store will have the same functional features as a Facebook page. Using the Facebook Like Button extension with Open Graph protocol you can completely control the content in Facebook network. Great product! Thanks for the free extension. You guys do great work. I would include this information down below, which was written by theodoros, on your Magento Connect extension page. I was about to uninstall the button, but read his post about the Easy Tabs solution. "If you have the easytabs extention installed then you have to put the <?php echo $this->getLayout()->createBlock('core/template')->setTemplate('facebooklb/like.phtml')->toHtml(); ?> code to app\design\frontend\default\default\template\easytabs\catalogproductview.phtml"
View all reviews for Magento Facebook Like Button 2.0. Q: Hi, i'm having a problem with this extension with two magento websites. I get extension working in backend and configured (i created a FB app for each website to get code keys). I see FB like button in frontend, but when i click it, it shows baloon with "1" for some seconds and then revert back to original state "like". If i try again, it does the same but go back with faster speed, almost istantly. A: I have the same problem. Magento 1.5.1. HELP! Q: Hi there. I had your extension installed and it seems that the option to not show "faces" is not working. I have it set to no and the magento backend, but it still shows faces. Any ideas or suggestions would be greatly appreciated.. Thanks so much! A: You should install facebook code right into easytabs/catalogproductview.phtml . Q: I installed this extension through magento connect with no errors. I see the tab in the admin panel. I went to facebook and created an app. I enabled the module and put the ID and Key in and saved. I added the code:<?php echo $this->getLayout()->createBlock('core/template')->setTemplate('facebooklb/like.phtml')->toHtml(); ?>to view.phtml and I don't have a button on any of my products. Please help. A: Please check with magento path hints if you edited right view.phtml. A: Can you send us link to your products page? A: Sorry but it can't be used as widget right now. A: Sorry but that extension is already using fb:app_id. Next meta tag fb:admins is not required according to Facebook guidelines but can be added on request. Q: Can i put it on NEW.phtml or another extension that i've installed. (exemple: im trying to put in new products e in bestseller that i have in my home page. )thank you! A: Yes sure you can do that and place any content you want. A: i try it but it dont show!i have tried with:i had with the other code too:none of them show it! :(Look this web: www.mascote.pt ... at bottom on 3 last products (bestseller) .... there is a white space below the name of product, is the place where is the code. (see with element inspector of chrome).Wainting for help.Thank you! A: What code have you use? Q: I am getting the following error when going to the configuration page:String could not be parsed as XMLI had the Magento Connect version installed initially but have removed it and installed the version from here. I am running Magento 1.6.2.0, any idea what may be the issue? A: Most likely problem caused by your hosting settings that doesn't allow to load extension list of Facebook languages. In order to fix that allow_url_fopen = On should be st at php.ini. Q: I have installed the extension and it works great, except for Internet Explorer. The Like button isn't shown in Internet Explorer, but the code is there. What can I do about this? Q: Hi. The product description on facebook is showing this codes: <li><ul></ul></li>How can i fix this?Thank you. A: Can you post your products page url there so we can check what is wrong? A: Hi. Sorry for being late to answer this.http://mercadogira.com/inicio/index.php/mouse-optico-usb-history-bob-marley-hantol.htmlThank you. Q: There's no image showing up on facebook, which is due to the generated link .../media/j/a/janne_1_1.jpg" property="og:image"> the catalog/product/ part after media is missing. Could somebody please point me into the right direction as to where I can edit the link. For some reason I could not locate a head.phtml related to the extension. Oh ya, this is on magento 1.6.1.0. Thanks in advance! A: Don't mind! Found the problem. I installed it through Magento Connect an for some reason it did not install all the files. Just did a manual install and it works like charm! Q: Parameters like width and show_face now work. Got 450px width either entering 360. I'm using Open graph enabled. Watching the page source with Firebug i get this code: <iframe ... class="fb_ltr" ... height: 24px; width: 450px .... src=".. show_faces=true..."> This keeps always the same, no matter what I input on the System - Config - Facebook Like Button fields. Also tried disabling cache but no effect. A: Sorry have you set your cache off or refreshed it after making changes to config settings? A: Yes, in Cache Storage Management I've disabled all caches, also flush Magento cache, then I've renabled and refreshed all caches, and still Parameters from "System - Config - Facebook Like Button" are not reflected in the front end. The width is fixed to 450px and faces are shown.Either I don't know where to start debugging. A: Can you post link to your products page? Probably you have not edited head.phml file according to isntallation instuction. A: Yes, this is a product page: http://www.growinformatica.com/store/index.php/insumos/pen-drive-kingston-datatraveler-101-generacion-2-8gb.html. Is now working with Open Graph disabled. If I enable it, all parameters including width, heigh, show_faces, etc goes to a fixed value, not the ones established in the Facebook Like Button config. facebooklb/head.phtml have only a modification regarding the image path discused in this panel. A: Can you also tell us what extension version do you use? 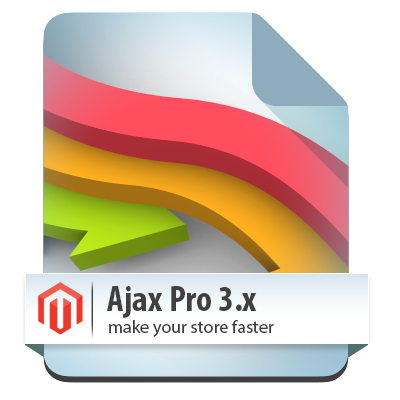 Have you installed version from our store or from magento connect? A: I've installed version 1.0.1 Beta from Magento Connect ( http://goo.gl/SRgnA ) with Magento Connect 2.0 on Magento Connect Manager ver. 1.5.0.0 over Magento 1.6.0.0. 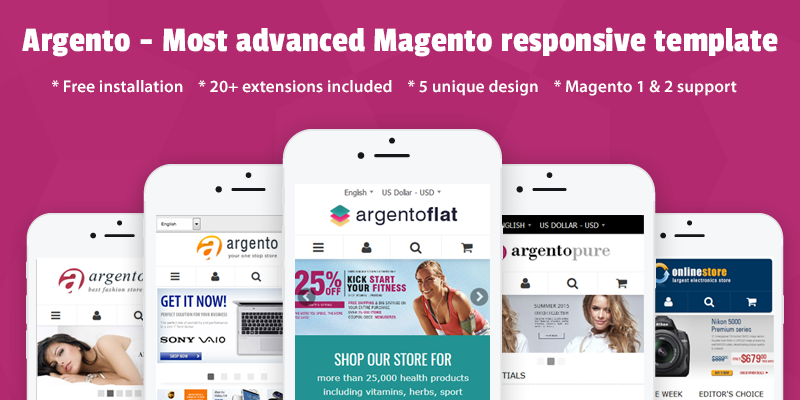 Q: i am using a custom magento template and tried to install your extension. in the admin page of magento i get 404 page not found error. do you have any recommendation? A: Please log out from admin and then login back in order to refresh your admin user access rights. Q: Hi,What is the application ID & Application key? Is it unique for each user? Are there different apps I can choose to display? Please help me configure it on my website.Thank you. A: You have to create facebook application for your domain. It will be unique and work only for your domain. Q: Is this compatible with IE8? I've installed it and it appears correctly in every browser I've tested except for IE8, where the Like Button does not appear at all. The button code is visible in the source code in IE8, but it does not render on the page. A: It should be working with IE8 without any problem. Do you see this problem at our demo store? A: Thanks for the reply - it appears to have been a temporary glitch. I haven't made any additional changes, but now the Like button is appearing in IE8 as well. A: Sorry can you try refresh your store cache? We have got your message via contact form and you can proceed with your problems solution via mail if you want. A: I just checked your products page and it looks like extension is configured in right way. So products image should appear. Can you tell us what exactly you see at facebook wall after clicking like.Also can show us any example of your second request? A: Thank you for taking a look. It actually sorted itself out in the end and the pictures now show up fine on Facebook. In regards to the second request, if you look at the Google +1 button on that product page you will see that the bubble counter has a '0' in it but the Facebook like button doens't show a bubble counter until it's had at least one click. Is it possible to have a bubble counter showing '0' on the Facebook like button? If not I think I can live with it but maybe on your next update you could add the box count style button? I had this working with your extension but it was a bit of a hack and I decided to go back to the button count style. Q: Is it possible to have the "likes" all liking the same html page, no matter what other page the button may be on? I have a like button in the footer of my website, along with like buttons in the products, but I'd like the button in the footer to only like the homepage url. If not, can I set it to automatically like a Facebook Page instead of the home page url? Thank you for your help! A: Sorry but this extension was created to add like buttons to products pages rather then whole site. A: It will require modifying extension. Unfortunately it isn't possible right out of the box.